Two decks. One Box. Springbok's double decks of playing cards feature beveled edges and the bold imagery Springbok is known for. 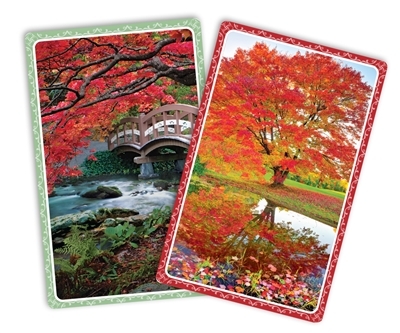 Get lost in autumn forests with our "Reflections" playing cards. Card dimensions: 2 3/16" x 3 7/16". Box dimensions: 4 3/4" x3 3/4" x 1".